Let’s face it: If there’s one thing college students love more than taking naps, binge-watching Netflix and occasionally turning up on a Friday night, it’s eating. Technically speaking, we need food to survive so there’s definitely nothing wrong with spoiling yourself and those around you during the holiday season. If anything, it’s encouraged. This Christmas, be everyone’s favorite person by gifting these edible goodies. I’m pretty sure some philosopher out there said that the way to someone’s heart is through their stomach. For less than $30 you can get someone a three-month subscription to this monthly box filled with yummy, all-natural snacks. Plus, for every box sold, the company donates a meal to children in need. It’s literally the gift that keeps on giving. Each month’s box is specially curated with hard-to-find snacks that not only taste delicious (seriously, I discovered Justin’s Almond Butter through this box and I’ve never looked back), but are actually good for you too. And hey, while you’re at it, buy yourself a subscription too. You’ve earned it. This is one of the easiest and oh-so-fancy gifts perfect for all you DIY enthusiasts out there. All you need is popcorn and toppings such as melted chocolate, nuts, crushed candy canes and anything else your heart desires. Once you combine the popcorn with your desired toppings, let it harden for a few hours and then you’re ready to package your kernels of pure deliciousness. This is where you can unleash your inner Martha Stewart and get super creative whether it’s by decorating a mason jar with a cute label and ribbon or putting the popcorn in a festive tin container. This is basically a dinner party in a box waiting to happen. Filled with goodies like artisan cocktail syrups, coasters and salad tongs, this gift will get anyone in the mood to have a group of friends over for dinner and drinks. And obviously you, as the gift giver, will be the first on the guest list. Come on, who can resist a gift with a name this cute? No one. Luckily for you, it’s also insanely cheap and easy to make while still making your friends think you’re the ultimate DIY guru. All you need is a holiday mug (bonus points if it has a snowman on it), a packet of instant hot chocolate, snowballs AKA mini marshmallows, chocolate kisses and a candy cane to serve as the spoon. Arrange everything inside the mug, attach a cute card like this one and you’re done. Yes, it’s that easy. Okay, so you may not be in Paris for the holidays, but that doesn’t mean you can’t bring Paris home to your closest friends. Wine makes everyone feel classy and sophisticated and really, who doesn’t need to feel that way once in awhile? 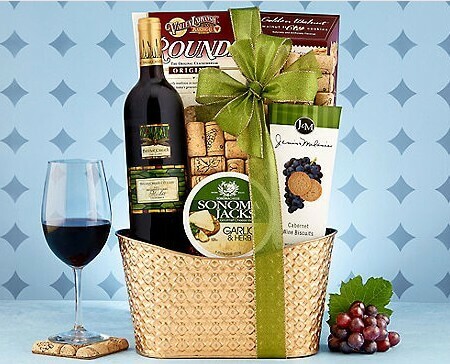 Not only does this basket come with a bottle of velvety Merlot wine, but it also comes with snacks. I’m talking cheese, crackers and even cookies. It doesn’t get much better than this. 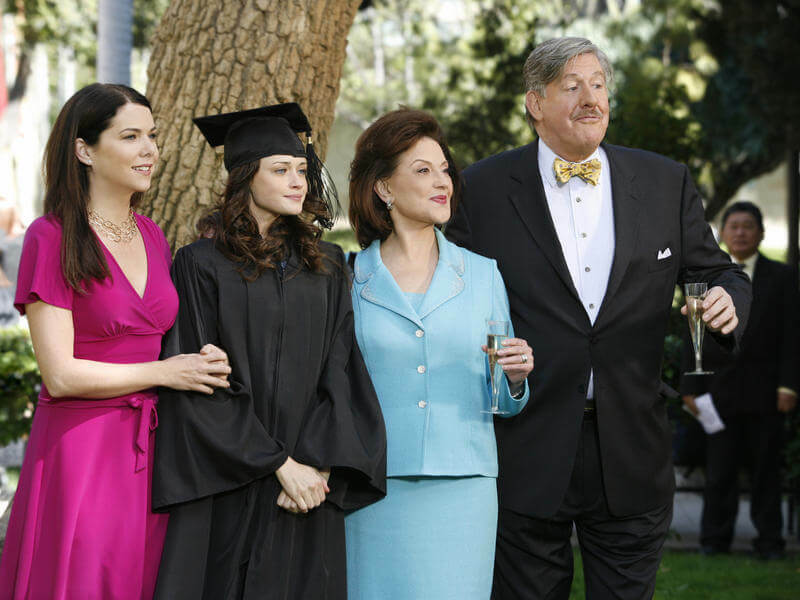 This is the perfect gift for the Netflix lover in your life. 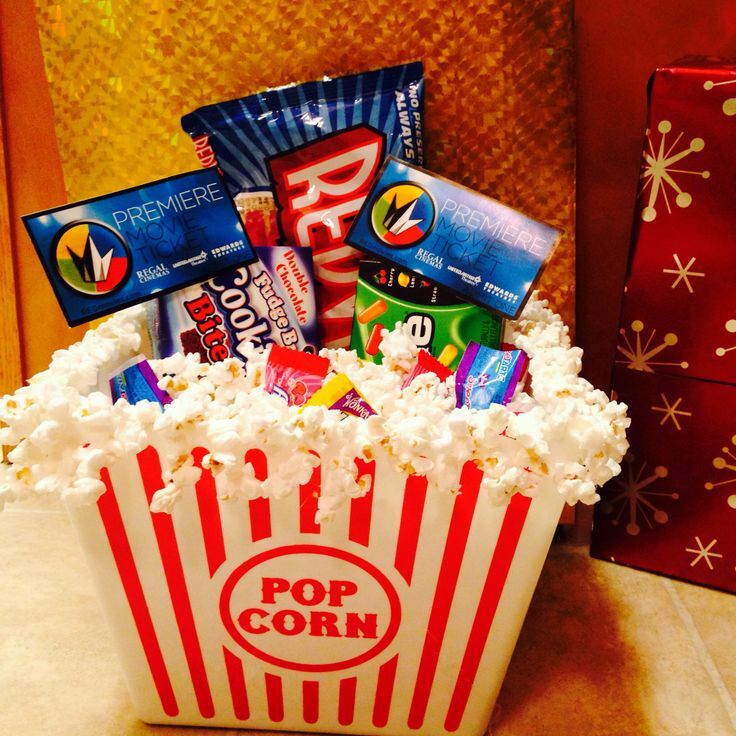 Just fill a popcorn container with movie snacks like microwaveable popcorn, chocolate covered raisins and twizzlers. And hey, if you’re feeling extra generous you can even throw in a gift card to the movie theater and hope that they invite you along. Remember how we’d always see these commercials on TV and secretly wish someone were nice enough to buy us one of these arrangements full of chocolate covered fruit? Well, here’s your chance to make that dream a reality for the special people in your life. Plus, they have really adorable Christmas themed arrangements like this red/white sleigh with chocolate covered strawberries in the shape of reindeer. Thanks, I’ll take 10. There’s just something so luxurious about gourmet chocolate that makes anyone want to get “chocolate wasted” like the cute, little girl from Grown Ups. This box of chocolates comes with a variety of favorites like caramel filled nuggets of goodness (yes, I just named them that), but no matter which one you get, I promise you’ll fall in love at first taste. An oldie, but a goodie. 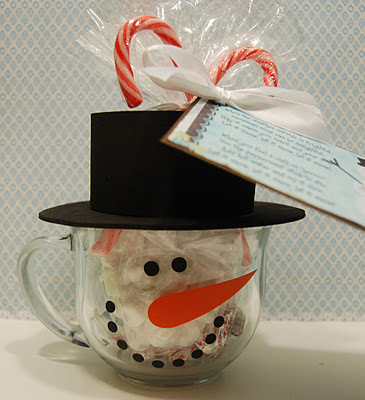 Pick out your favorite cookie recipe and layer all the dry ingredients into a mason jar and seal it with a fancy ribbon. Don’t forget to include a recipe card so whoever you give it to actually knows what to do with it and doesn’t think you literally got them a jar filled with flour and sugar. Yes, Christmas flavored coffee is a thing. Leave it to Starbucks to sell this blend of coffee just in time for the holidays. This is sure to satisfy all the people on your “long list of Starbucks lovers.” Taylor Swift might not approve, but I sure do, so buy this and you won’t have a “blank space” on that list of yours. Okay, I’m done now.